When starting your own t-shirt line, one of the first things you’ll have to decide is your printing method. In this day and age, there are tons of options out there. Each one’s different and has its own characteristics. Direct to Garment (DTG) and screen printing are among the most popular options. We’ve put together a new article that expands this topic to include sublimation printing. You can read it here. 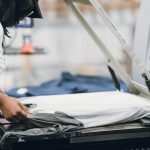 At Printful, we print the majority of our t-shirts using the DTG method, but we also offer screen printing. This blog post will shed some light on the differences between each method so you can learn which is best for you! Before we dive into detail, watch our video below where our production supervisor in Charlotte shares his expert advice about printing. Now that you have an overview, we’ll describe each method in greater detail. 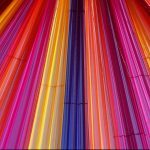 Screen printing: how does it work? Screen printing is a process that involves pushing ink through a woven mesh stencil onto fabric. The stencil opening creates the space through which the ink will go to create the design. The ink is then pushed over the mesh, pulled by a fill blade or squeegee. As the blade is pulled, the ink is pushed through the mesh, onto the garment. With screen printing, only one color can be applied at a time. Therefore, the number of colors on a t-shirt is limited, and each color requires more time, another screen and stencil, and ultimately, more money. That’s why screen printing is a good choice for simple designs with one solid color, and when you’re making many t-shirts of the same design at a time (eg. for a sports team, summer camp, or event). How can you get yourself screen printed t-shirts? There are many ways to get your hands on your own screen printed t-shirts. Here’s a great tutorial on how to do it at home, or you can find a screen printer close to you. You can get your screen printed t-shirts through Printful. Check out this page to learn more! 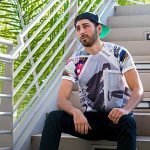 Direct to Garment (DTG): how does it work? With DTG printing, a printer directly applies the ink onto the t-shirt with inkjet technology. It’s sort of like printing on paper, except on a t-shirt. A special printer prints the ink directly onto the garment in the desired design. DTG uses specialty water-based inks, which are absorbed by the fibers of the garment. Since the DTG printer is as precise as, well, a printer, you’re able to print images in much higher detail than screen printing, and you’re not limited in color. Because the printer can print any image, you have a lot of options to customize your design. This is also a good option for those who don’t have a lot of money to make an up-front investment for a large batch because each t-shirt can be ordered separately. No need to guess how many of each size to order, and you won’t have unsold items sitting around your living room. How can you get a DTG printed t-shirt? Watch this tutorial to learn how to place an order. Which printing method is best? Screen printing and DTG both yield comparable, quality prints, but they differ in method. For one, screen printing is one of the oldest techniques, while DTG is newer technology. 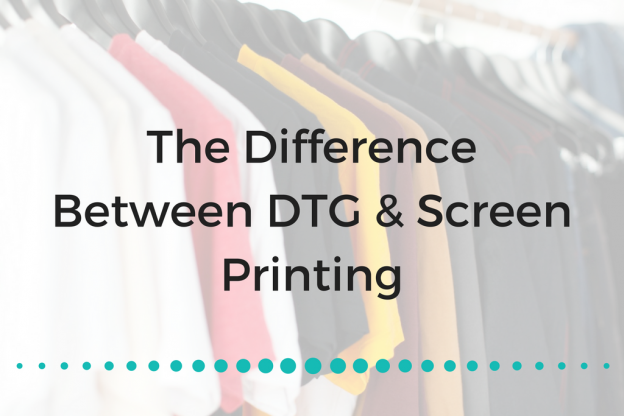 Screen printing involves pushing ink onto fabric, while DTG uses a printer to print ink directly onto a garment. The decision ultimately comes down to your design and the quantity you need. Keep this chart handy – it sums up the points we talked about in this post. Printful is a print-on-demand drop shipper. What does that mean? We print and ship print products for online stores. We’re white-label, so everything we do is under your brand. 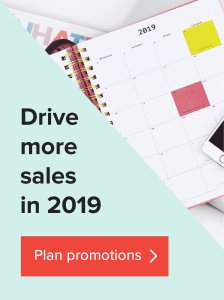 The benefit of working with Printful is that it’s super easy for anyone to start a business without the startup costs. No signup or subscription fees – you only pay when an order is made. And since we print one-offs, you don’t have to buy inventory in bulk and guess what sells best. If you’re still not sure about DTG or screen printing, let us know in the comments! We’re happy to help. 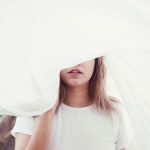 Did this post motivate you to launch your own online store? Download our free ebook for more tips and trips to get started! This article was originally published in November 2013; it has since been updated. Subscribe to our blog and get a free ebook to learn what you need to launch your ecommerce store. How does the print feel on the shirt? Is it plasticy or soft (where you don’t feel the ink) like the shirt? Will the design tear when the shirt is stretched? Is the ink absorbed into the material or does it sit on top? I didn’t see a comparison for screen vs dtg on this aspect which is important too. Thx. I feel like apologizing on behalf of some of the previous commenters. They either don’t understand or they are happy with what they know. I’m starting up a coffee import/export business and I want to print tees, sweatshirts and maybe ball caps. I’ve considered opening a small, custom DTG shop for “brand recognition” products to use as premiums/promotional items for my brands. I am also considering a sideline print DTG printshop to possibly generate additional income. There is no way I could accomplish these goals with screen printing. My logo, which is on my package labels, is very detailed with 6 colours and fine details. No way can I set up a six or eight station screen print machine, especially not for a quirky, niche product. Given a good, high-quality graphics file, I can print (or have printed for me) beautiful, short-run items on quantities tailored EXACTLY to my requirements. Thank you for your website and comments section!! Would I be able to order dish towels with various family recipes uploaded and what kind of price would I be looking at? Also if I upload an old sampler picture, could it be transferred to a dish towel? Hi, our sublimated towels are $24.95 per piece. And sure, you can use it as a canvas for your family recipes! However, you can’t bulk upload your print file on multiple products. Can DTG printing be as bright as screen printing? For example white printing on a black shirt? There shouldn’t be any issues with a white DTG print on a black shirt but screen printed one might have a brighter look though.